As a self-help organization, NAMI NJ is especially sensitive to the concept of mutual caring and responsibility implicit in family relationships and reaching out in that context to families from various cultures that are affected by serious mental illness. NAMI NJ has gained considerable expertise in the area of multi-cultural outreach and program development. AACT-NOW (African American), CAMHOP (Chinese), NAMI En Español (Latino) and SAMHAJ (South Asian) are four NAMI NJ innovative multi-cultural support and education programs that outreach to African American, Chinese, Latino and South Asian families. The programs also provide education for mental health professionals to help them better understand cultural and treatment issues relevant to these populations. See each program below for support group information. AACT-NOW – African American Mental Health Outreach is a NAMI NJ initiative connecting with New Jersey’s African American communities which includes people with mental illness, families affected by mental illness, the faith community and mental health professionals. AACT-NOW has provided culturally competent support, education and advocacy through three support groups in the northern, central and southern regions of New Jersey. CAMHOP-NJ is a NAMI NJ initiative to help people of Chinese origin (including immigrants from mainland China, Hong Kong, Taiwan, and their descendants) in New Jersey gain better understanding about mental illness as a biological based and treatable disease. CAMHOP pronounces like “Golden Crane” in Chinese. The crane is a symbol of health and longevity in Chinese culture. NAMI NJ en Español is an awareness & education program developed by NAMI NJ serving the Hispanic/Latino community in New Jersey. It offers local self-help support groups, Family-to-Family Education Program in Spanish, and a myriad of other outreach activities. SAMHAJ is an effort to let South Asians (of Indian, Pakistani, Bangladeshi, Sri Lankan, Nepali, Afghan and Bhutanese origin) in New Jersey understand that mental illness is a biologically based, treatable illness. This program won the NAMI 2002 Multicultural Award. 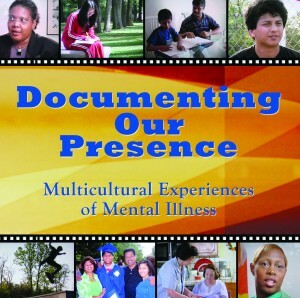 “Documenting Our Presence: Multicultural Experiences of Mental Illness” was produced in 2007 as a NAMI NJ Multicultural Outreach Initiative with the support of NAMI – National Alliance of Mental Illness and NJ Division of Mental Health Services. This documentary is a compassionate, hopeful look at the experiences of people of diverse backgrounds, affected by serious mental illness. It traces their lives through a cultural lens, focusing on the onset of mental illness, the process of coping and acceptance, and finally, their journey to recovery. To order a copy please visit NAMI NJ Store. Concha, M, Villar, M.E., & Azevedo, L, (2014) Health Attitudes and Beliefs Tool Kit, Technical Assistance Network for Children’s Behavioral Health, University of Maryland, Baltimore, MD.